Agromin will be part of the Agriculture Career Fair, January 29, 2015 from 4:00 p.m. to 7:00 p.m. 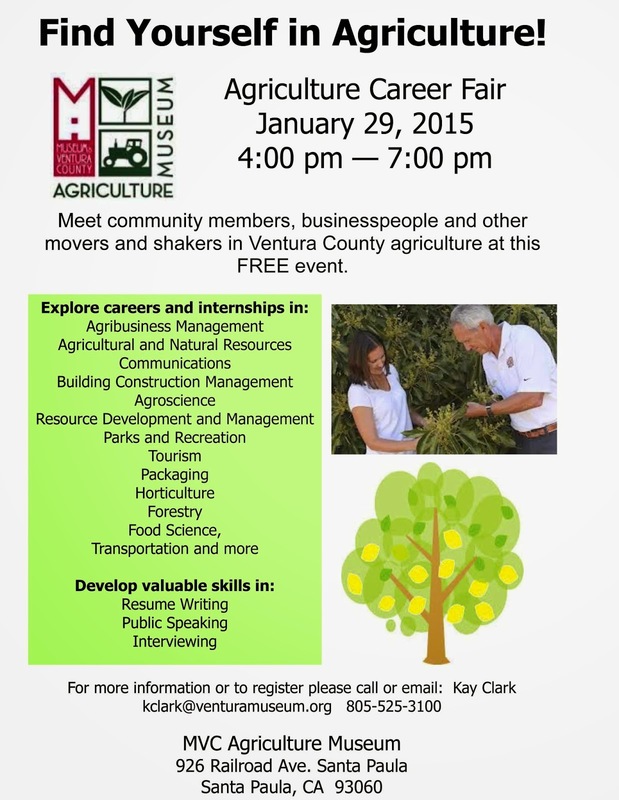 The fair is free and open to those interested in careers and internships in the agriculture industry. The fair takes place at the Museum Ventura County/Agriculture Museum (926 Railroad Ave.) in Santa Paula. Agromin representatives will be answering questions on careers in organic recycling and sustainable agriculture. For more information or to register call or email: Kay Clark, kclark@venturamuseum.org 805-525-3100.